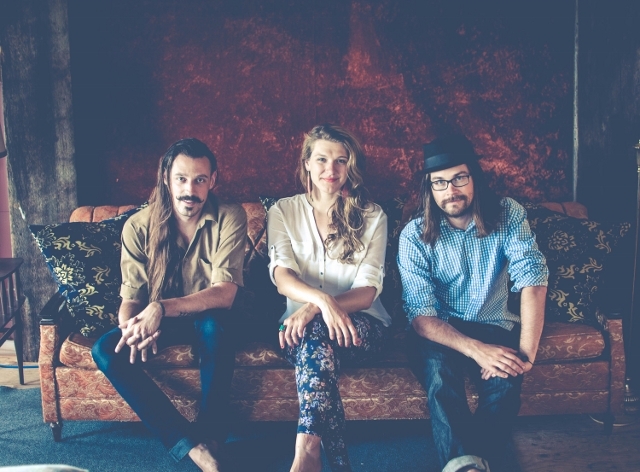 A Canadian folk trio will bring their UK tour to three Lancashire venues this October. Red Moon Road, from Winnipeg, will perform at Borwick and Priest Hutton Memorial Hall on Saturday 15 October at 8pm. From there they will travel to The Arts Centre, Burscough Wharf on Sunday 16 October at 7.30pm, followed by a gig at The Harris Library in Preston on Wednesday 19 October at 7pm. Tickets for the shows can be booked directly from the venues. Tickets for the Borwick and Priest Hutton Memorial Hall show can be booked by calling one of three numbers: 01524 782053, 01524 781000 or 01524 735757. For the Burscough Wharf date the number to call is 01704 896590 and tickets for the Preston performance can be booked directly from library staff or by emailing harris.library@lancashire.gov.uk. Red Moon Road are a Winnipeg folk trio known for spinning stories into songs and, more often, breaking hearts with their stunning musicianship. In a well-choreographed show, the trio incorporate impeccable three-part harmonies, a drum kit split between two band members and an acoustic guitar rigged to also be a bass. A moustached man plays mandolin, lap steel, banjo and organ, and subtle technological wizardry whirls as the unmistakable soulful voice of one of Canada’s premiere songstresses floats above it all. Red Moon Road is a tapestry of song, masterful storytelling and spontaneous repartee woven seamlessly into something truly exceptional. With tastes of Albertan country, Parisian aires, banjo driven anthems and the traditional folk storytelling in a Canadiana music style carries the stories as compellingly as the lyrics. The three gigs form part of Spot On Lancashire’s autumn season of touring, taking professional arts events to rural venues and libraries across the county. The performances are supported by Folkus, the folk arts network of the north west. For more information about all the shows or to see the full Spot On season programme, visit www.spotonlancashire.co.uk, call Sue Robinson on 01254 660360 or email hello@spotonlancashire.co.uk.